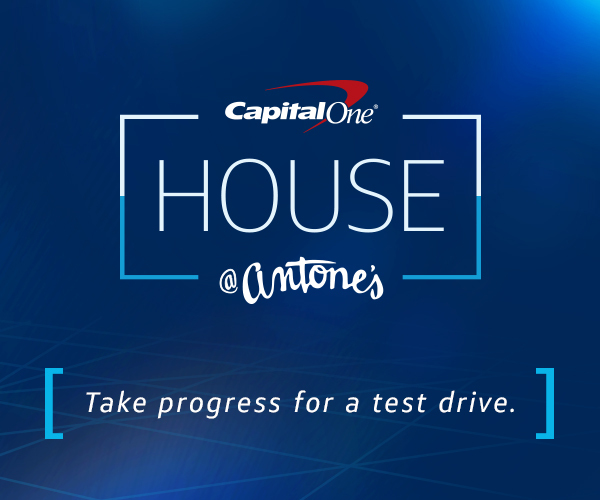 There's a new mural in town, and it's unlike any other in Austin - which is saying something, considering the colorful walls and buildings that adorn our city. 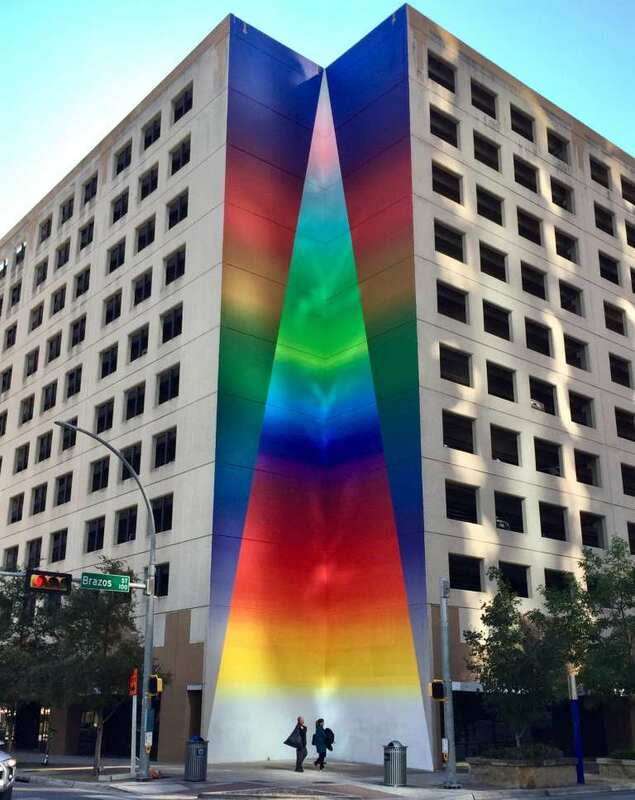 Looming over the corner of Brazos and 2nd St., this commissioned mural is now Austin's tallest public artwork. The impressive spectrum was completed in November 2018 by Transylvania-born artist Josef Kristofoletti. Its title, "Tau Ceti", comes from a star in the constellation Cetus. This piece is one that must be seen in person for the full experience. 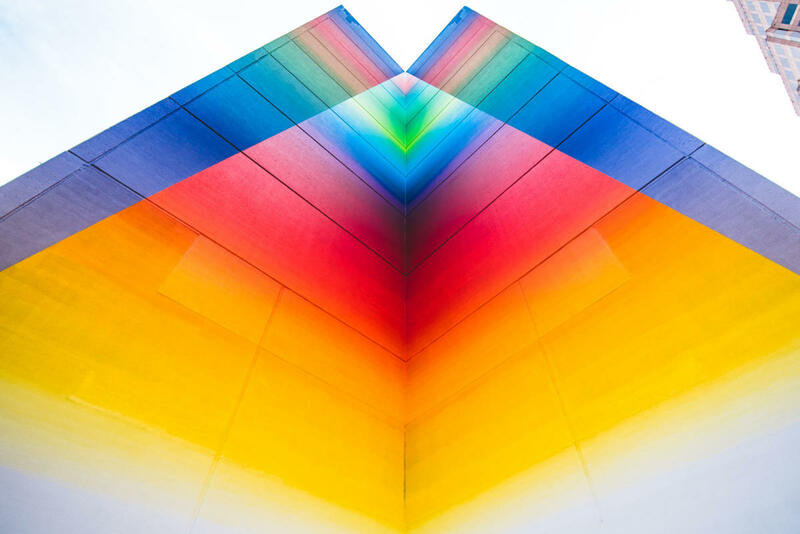 "Tau Ceti" climbs 103 feet (10 floors) up a parking structure, and the work's position in an inverted corner makes it a multi-dimensional piece that is dizzying when viewed from up close. The project began when the Capital Improvement Project sought to upgrade the parking structure that serves the Austin Convention Center. Day or night, we'd say this building is officially improved. When we asked Josef about his vision for the project, he pointed out an awesome feature to look forward to in the springtime. 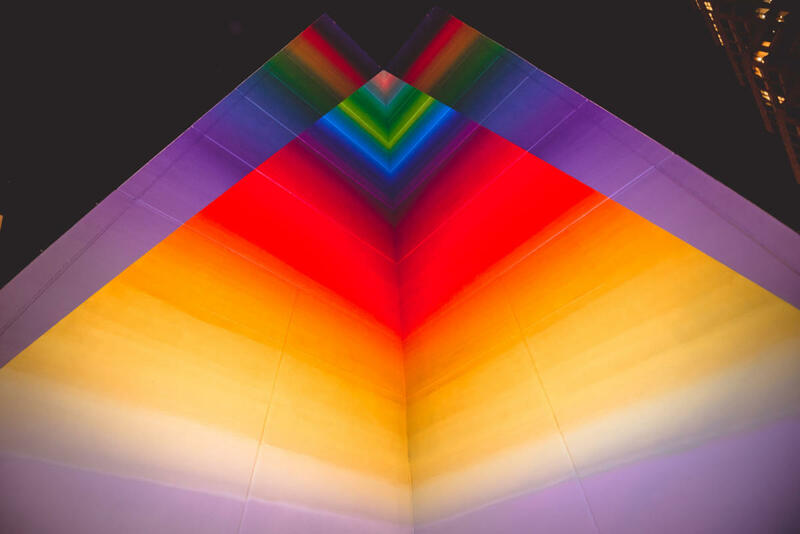 "I love watching the sunlight as it’s reflected off of windows onto other buildings, I wondered how it would look if that moving light was refracted into a spectrum. When I came up with the idea for this piece I noticed that in the summer afternoon the reflected light covers this inverted corner of the building at 2nd and Brazos, so as the sun appears higher in the sky over the spring, it will become an experience to see it during the right time of the day. I can’t wait to see how it will look. There is a glimpse of this effect you can see in the morning but it lasts just a few minutes, ” says Kristofoletti. Here's a photo he took that illustrates the mural's otherworldly glow at such a moment. Learn more about the artist and his other works by visiting www.kristofoletti.com. 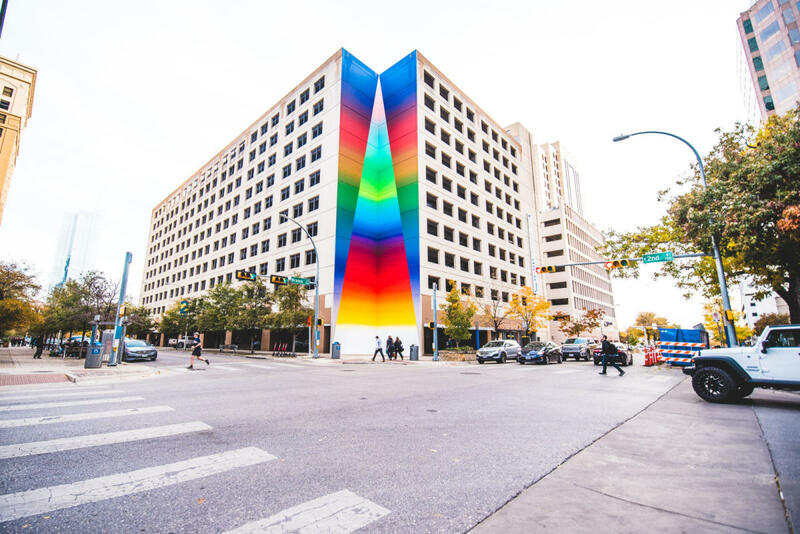 You can also check out Austin’s Art In Public Places website for info about works around town, or consult our list of The Most Instagrammable Places in Austin for more enviable photo-ops.